Cake pops are one of those treats that I would always dive into at friends’ birthday parties when I was a child. Obviously, these were crammed with refined sugar, butter, wheat and other not-so-healthy ingredients! 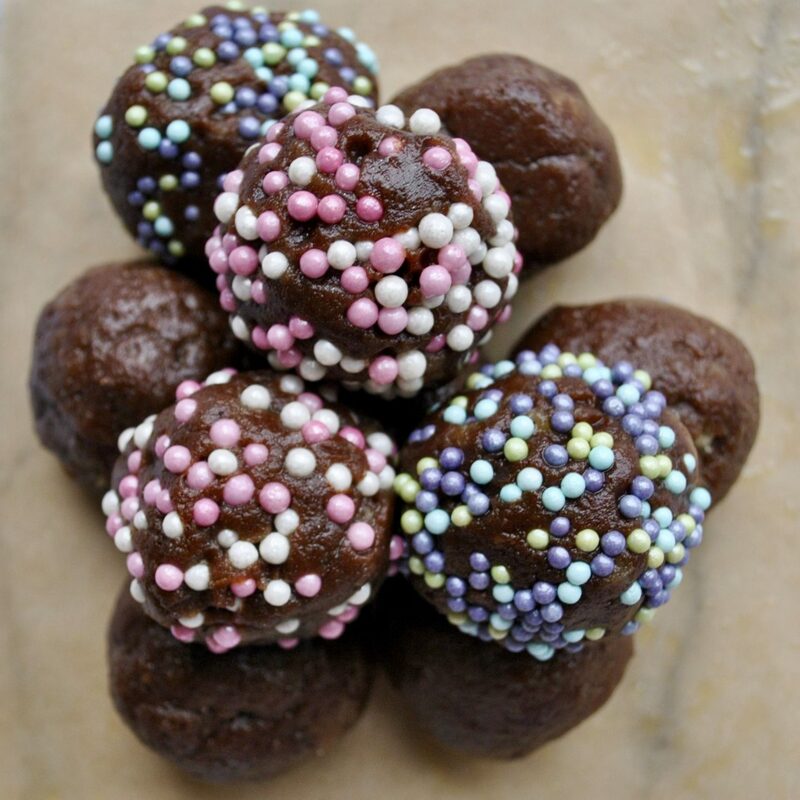 So I decided to put my own twist on Chocolate Cake Pops with this recipe. I based it on my classic Vanilla Sponge Cake – which doubles as Victoria Sponge Cake, mini fairy-cakes, or any other flavour cake (for example you could add in cocoa powder for coffee granules to the mix). But to be honest, you could use your favourite cake recipe, regardless of whether it’s gluten/dairy-free or complete antithesis! 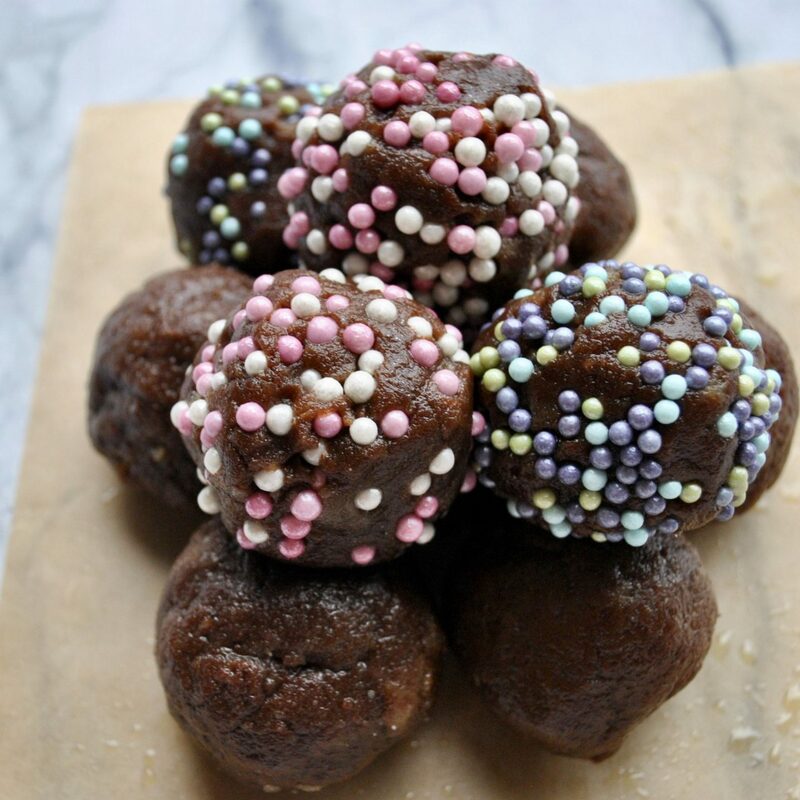 These blissful bite-sized balls of vanilla cake are combined with a decadent chocolate frosting, which is secretly so much better for you than your average buttercream! The thick creamy texture is the result of avocado, which I know sounds bizarre but when blended with the other ingredients becomes totally undetectable and just makes it silky smooth! 2 very ripe soft avocados (I promise you won’t taste them! Make the frosting by blending all ingredients together well in a food processor. Spoon this into a large bowl. 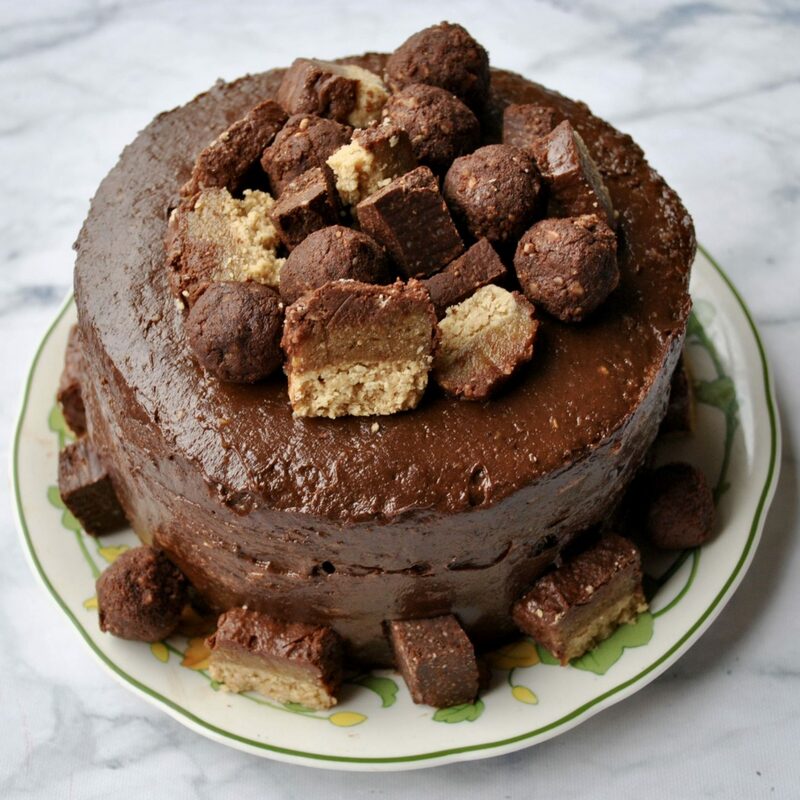 Use your hands to crumble the cake on top of the frosting, then knead the mixture together until fully combined. Roll into balls and place on a lined baking tray in the freezer for 30 minutes. 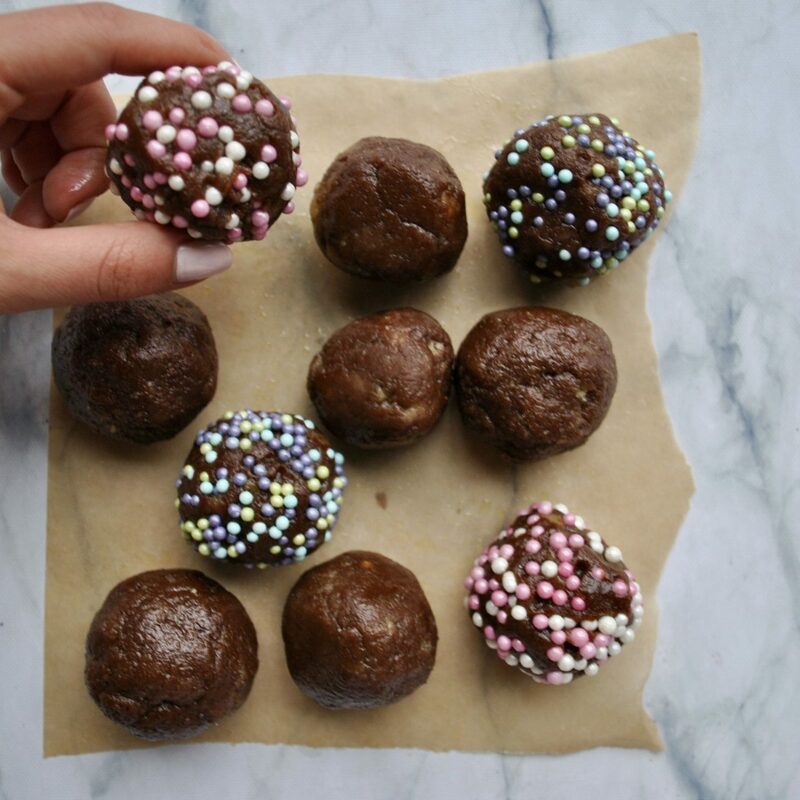 If using, push each stick about 2 cm into each cake pop. Optional: coat in icing, melted dark chocolate, sprinkles or chocolate chips. 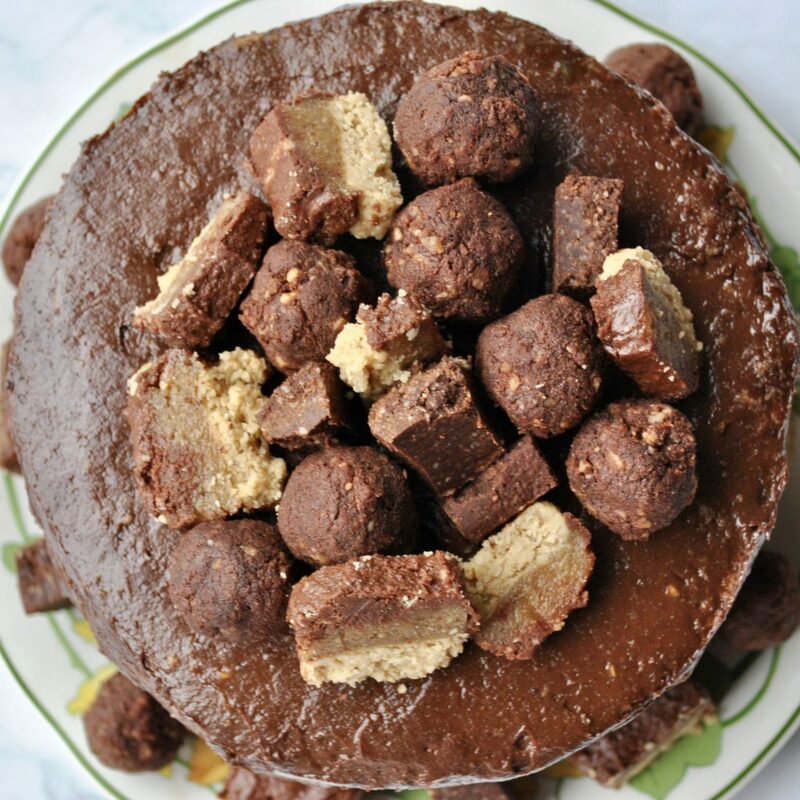 Snack on them as they are, or use them to decorate a cake like this Flourless Triple Chocolate Cake or this Victoria Sponge Cake.